CHARLOTTE, NC, May 2, 2011 – Horizon Lines, Inc. (NYSE: HRZ) today announced that it has finalized an agreement with CSX Corporation to reduce charter payments on three vessels leased from CSX. Under the agreement, charter hire expense has been reduced by $3 million annually, retroactive to January 2011, through the January 2015 expiration of the charter. 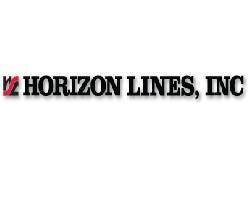 The agreement represents a total savings of $12 million for Horizon Lines over the remaining life of the charter. The three chartered vessels, the Horizon Anchorage, Horizon Tacoma, and Horizon Kodiak, serve in the Alaska tradelane and were built in 1987. The reduction in charter hire expense of $3 million this year that was achieved by the finalization of this agreement was previously included in company estimated 2011 cost-savings projections of $18 million or greater.